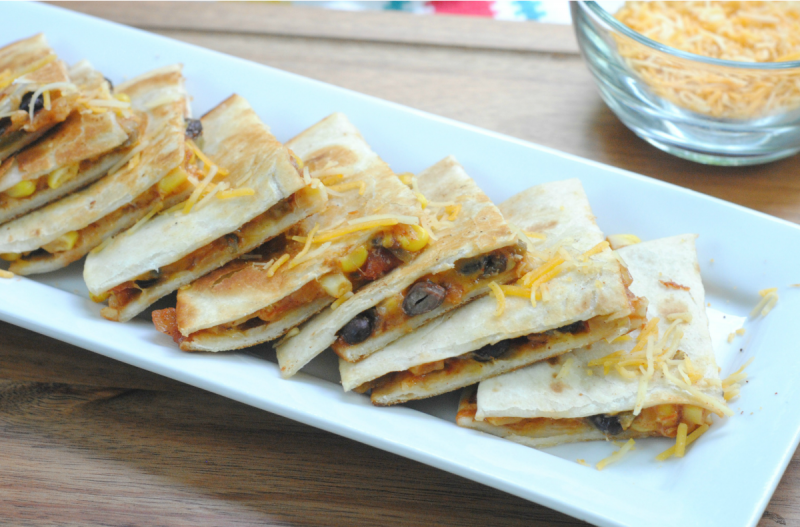 Love making quesadillas in the skillet, but you can bake them on cookie sheets too! This simple vegetarian filling is perfect for a super-fast weeknight dinner that’s packed with flavor and pizazz! Enjoy! Open and drain both the black beans and corn. In a large mixing bowl, combine the black beans, corn, salsa and taco seasoning. 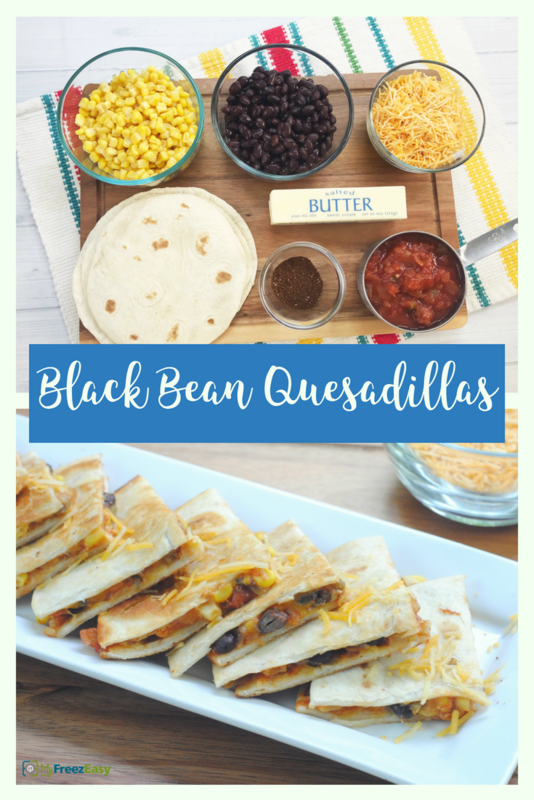 In a large skillet, melt half of the butter and place tortilla into melted butter and add a pinchful of cheese, then spoonful of the black bean mixture, then more cheese and then another tortilla on top. After 1 to 2 minutes grilling, carefully flip it over to toast the other side. Repeat with remaining tortillas, cheese, and black bean mixture. Add more butter as needed. Serve Black Bean Quesadillas with side salad. Open and drain 2 cans each of the black beans and corn. Do not freeze the tortillas, butter, or shredded cheese. They can be frozen in their packaging, alongside this meal starter. Put baggie in the freezer and freeze up to 6 months in fridge freezer or 12 months in a deep freezer. Thaw in the fridge overnight, or a warm bowl of water for about 20 minutes, before transferring to a skillet and reheating the sauce. In another skillet, assemble and toast the quesadillas as directed. Thaw and reheat the filling in skillet. In another skillet, assemble and cook the quesadillas as directed.